In a previous post I wrote about the start of my journey into coaching. In that post I reviewed “Coaching 101” from CoachNet. 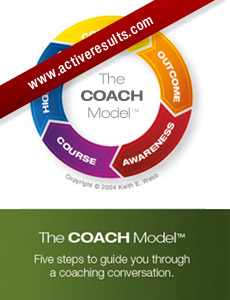 As I talked with people about coaching I was referred by David DeVries to CRM and their COACH Model. What I have found is an organization and system that appears to be exactly what I am looking for! One strength is that they offer a local training that is longer (5 days instead of 2) for half the price! The process could move me toward certification within a year. Coaching is so much more than a management fad or trend. It guides a person along a path of self-discovery to take specific steps toward effectively achieving their goals. It’s not teaching, instructing, or even nudging people toward a predetermined outcome. Coaching is completely centered on the coachee (the one being coached) and not on the background or expertise of the coach. I plan to use coaching as a discipleship tool to help people go deeper in their relationship with Jesus and to equip ministry leaders become more effective in their ministries. C is for Connect – First, connecting to the person you are talky with to build rapport and trust; and second, following-up on action steps from your previous coaching conversation. O is for outcome – Outcome is the intended result the coachee would like to achieve during the conversation. A is for awareness – Awareness is a reflective dialogue intended to produce discoveries, insights, and increased perspective for the coachee. C is for course – Course puts feet to insights and discoveries by helping the coachee create action steps. H is for highlights – Highlights focus on reviewing the parts of the conversation that the coach found most meaningful. Throughout the book Webb fully develops each of the five components of the COACH Model with conversational examples, sample questions, and plenty of instruction. As I read through The COACH Model I found stuff that I can put to immediate use with the guys I am coaching. I highlighted enough text that I quickly realized that this would be a book that I would want to read more than once. It is very content-rich and I want to make sure that I glean as much as I can from it in order to provide meaningful coaching conversations with those I coach. If you have interest in developing your coaching skills, The COACH Model by Keith Webb is a great tool to help you achieve that goal. If you are a second chair leader I would strongly encourage you to look into coaching as an important tool for your toolbox. 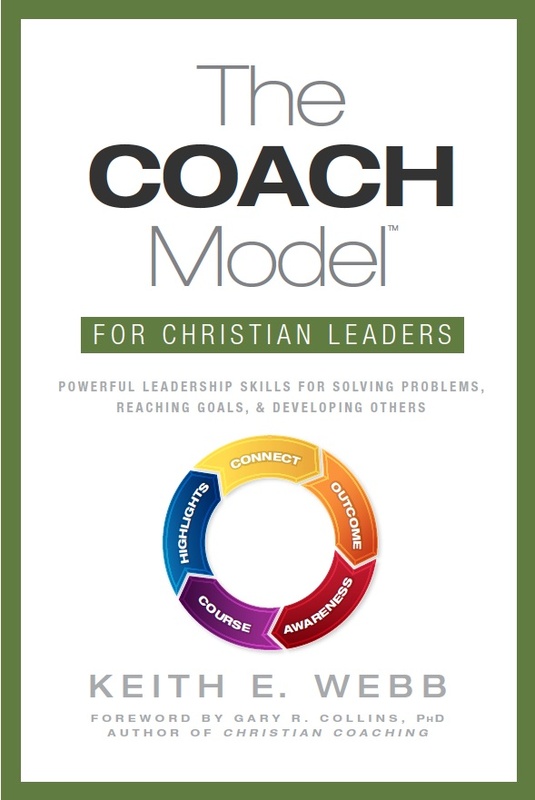 I believe that coaching will help me become a better men’s ministry leader and will be a valuable tool for many years in a variety of life and ministry applications. This entry was posted in church, Coaching, leadership, ministry, personal growth, Second Chair Leaders on April 19, 2012 by Joe Donaldson.